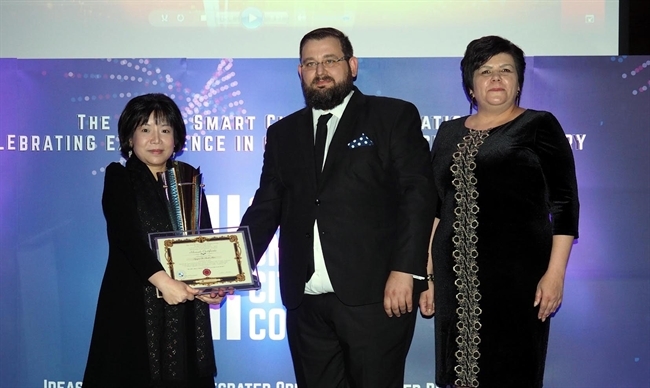 Dr. Nguyen Thi Thanh Nhan - Chairwoman and CEO of AIC Group has won the World’s Best Smart Nation Concept and Model Award at Global Smart Cities Contest 2018 in London. Dr. Nhan demurred from all praise given by others and attributed her success to her willingness and hard work to learn about any and all advances, and the devotion of her enthusiastic colleagues at AIC (Advanced International Corporation) Group over the past 20 years. The Smart Nation solution designed and developed by Dr. Nhan and her colleagues at AIC Group received the best evaluation because it can connect central agencies, ministries, cities and provinces with schools, hospitals and businesses. The smart nation model is nothing new and has been applied in many countries. The secret is putting it in the surroundings where it will be created. Then one can watch it evolve, mature and grow into the best smart city that fills the needs of the community it serves. After attending many conferences and workshops on smart cities or smart nations, Dr. Nhan realized that most of the models did not clarify how they benefit different groups of people in the society, or if they can, they cannot do it thoroughly. There has been almost no instruction on the implementation of details as well. 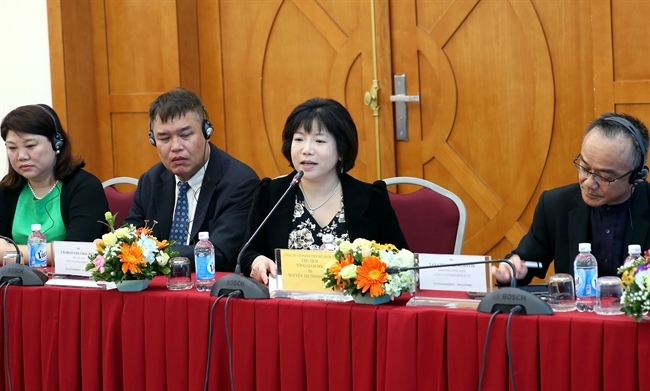 “In Vietnam, there are some places where smart management models of traffic, health care and education are applied, but there has been no synchronous and integrated system,” Dr. Nhan said. “That’s why I built a smart national model based on the specifics of supporting features for different beneficiaries, and analyzed the solutions to be implemented to realize the model of smart nation,” she said. 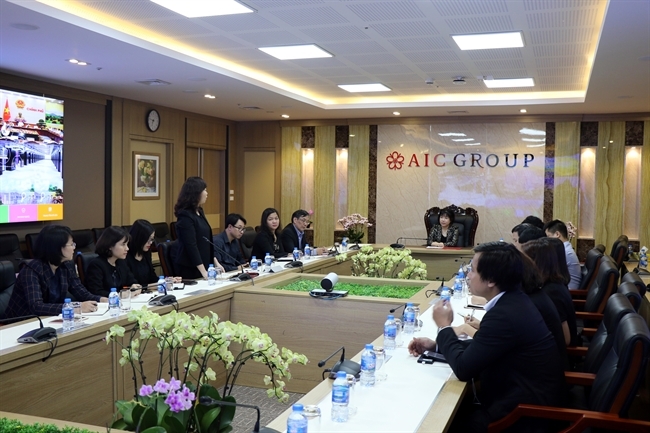 Dr. Nguyen Thi Thanh Nhan - Chairwoman and CEO of AIC Group. at Global Smart Cities Contest 2018 in London. 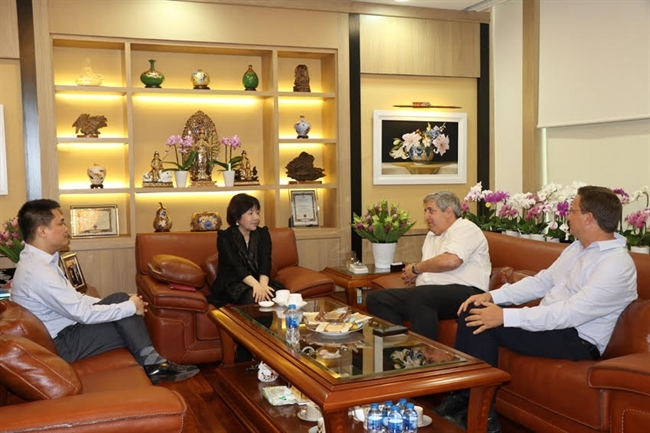 Dr. Nhan at a working session with the Ministry of Transport. She works with Japanese partners. Dr. Nhan’s smart nation idea has received major attention in the context of the country’s ability to build a constructive and active e-government. The creativeness, practical benefit and high feasibility of Dr. Nhan’s model thus promises success for AIC, an enterprise quick in grasping the opportunity and forecasting the global trend. She said that without applying the smart national model, the country will lag behind during the Fourth Industrial Revolution. “The world has been using the smart national model for a while so our job is to learn and put it into a practical application,” she said. According to Dr. Nhan, her system has many different parts based on the programs that have been successfully applied in many countries around the world including Israel, some European countries, South Korea and Singapore. “I even studied failed models to make sure I didn't make the same mistakes," she said. She eventually built a smart nation where people would be able to directly use all public services, free training programs and special policies that give priorities to the people. 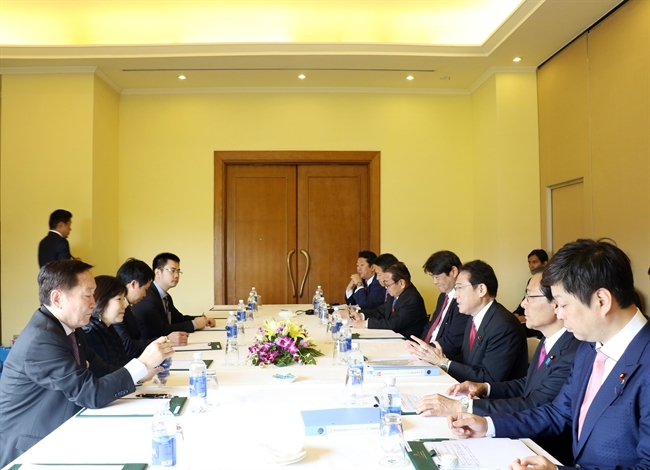 “People’s issues and specific recommendations to the government can be resolved without wasting time waiting for cumbersome procedures,” Dr. Nhan said. The concept of a smart nation is nothing abstract or complex if her model is applied. She said it will take only 15 minutes for an individual to learn to use the technology which is already available. For state management agencies and specialized agencies, a two-week training course is enough for them to master the system. She has implemented many programs for the sake of public interest, including projects on wastewater treatment and climate change response, as well as health, education and culture support programs, and now the smart nation model.